Gigaclear are hosting a Q&A session on their fibre broadband at 7pm on Wednesday 15th May in Maisemore Village Hall. Gigaclear say "Our broadband experts will be on hand to discuss how having a high-quality, fast and reliable internet connection allows you to use multiple devices, seamlessly - with the speed you need." You can register for free tickets to the event here. 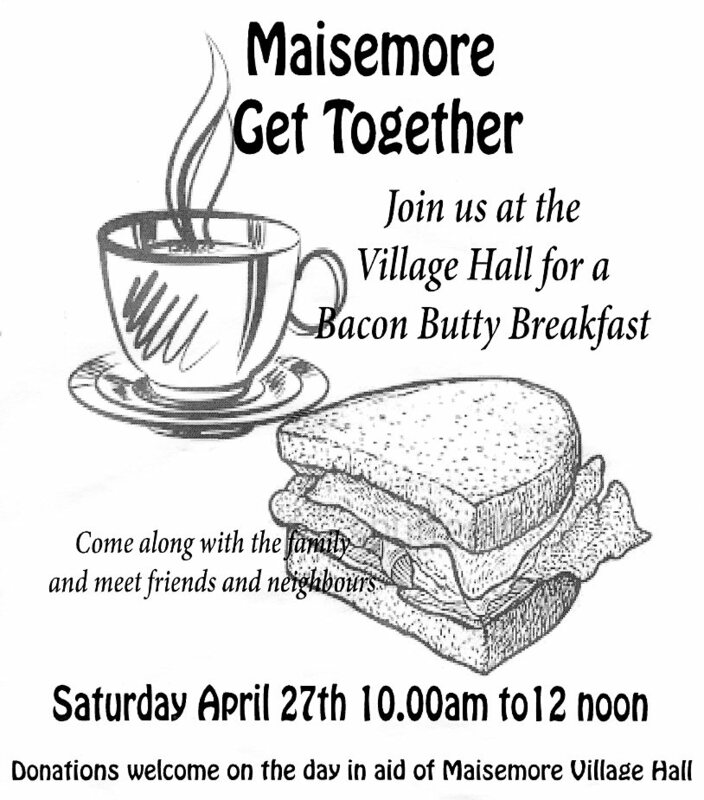 The Maisemore Village Get-Together and Bacon Butty Breakfast is this coming Saturday April 27th in the Village Hall. There will be gluten and dairy free options and something suitable for vegetarians and vegans. Everyone is welcome. There is no charge - although donations in aid of the Village Hall will be welcomed on the day. 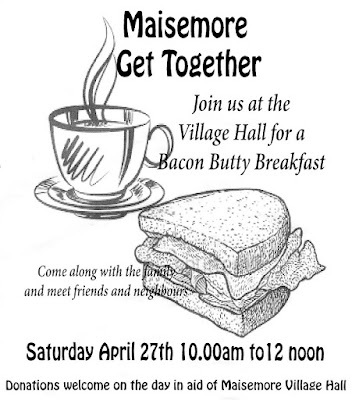 The Village Hall Committee would particularly welcome anyone who wants to come along to represent a local group or society, such as MADS and Maisemore Local Hoistory Society. The event runs from 10am to 12noon. It's a great opportunity to come along with the family and meet friends and neighbours. There's no hidden agenda - it's just all about getting to know other Maisemore residents in a friendly atmosphere. 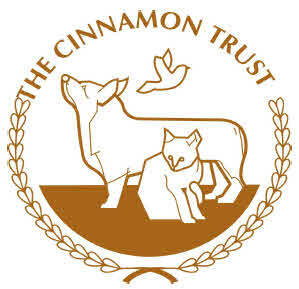 The Cinnamon Trust urgently needs volunteers to help a resident of Maisemore and their lovely dog Holly, a 7 year old Border Collie who would love to go for a good walk so we would be delighted to hear from anyone who would like to volunteer to help. This is a national charity whose wonderful volunteers help people over retirement age and those in the latter stages of a terminal illness by offering all kinds of pet care. If you would like to register or even have a quick chat about registering just call Sally or Tressa direct on 01736 758707 or email sallycollins@cinnamon.org.uk or tressaherriott@cinnamon.org.uk. "The new 'pop-up' post office will open for business at Hartpury Village Hall on Tuesday 7 May and will operate every Tuesday and Thursday afternoon from 2.30 – 4.30 pm, offering all normal post office services, including banking operations. Customers will also be able to pre-order shop items including fresh milk, bread and papers." This is probably for a trial period, as the Village Hall message ends: "USE IT OR LOSE IT!" The formal notice of the European Parliament Election on Thursday 23rd May has now been published and can be seen here and on the Parish Council notice boards. The Borough Council elections are on Thursday 2nd May. The Polling station is in Maisemore Village Hall and will be open from 7am to 10pm. With five people nominated for the five vacancies on the Parish Council, there will be no need for a Parish Council election. There will, of course be an election for two Borough councillors on Thursday 2nd May. 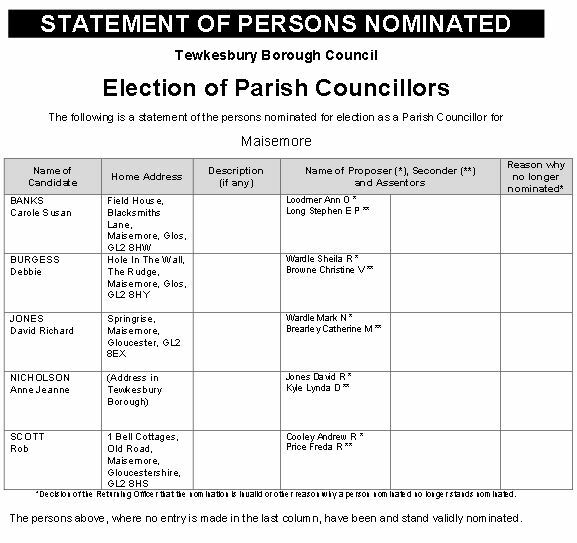 Everyone nominated will, therefore, be automatically elected as Parish Councillors on the election date. Their first Parish Council meeting will be on Thursday, 16th May. There has been a problem with the server that provides part of this website so that some links didn't work. Hopefully it will be rectified by Friday morning. 9.30am Friday: Problem now resolved so the site should respond as usual.